Borge Ring (1921) is one of the great names in the international animation world. He lived in the Netherlands for many years, but he was born in a musical family in Ribe, Denmark. Back in 1940, Borge Ring was a professional jazz musician, guitarist and bass player. He was a member of Svend Asmussen's band and can be heard on recordings of Leo Mathisen and Pia Beck. His interest in animation, cartoons and comic strips always ran parallel with his life as a musician. 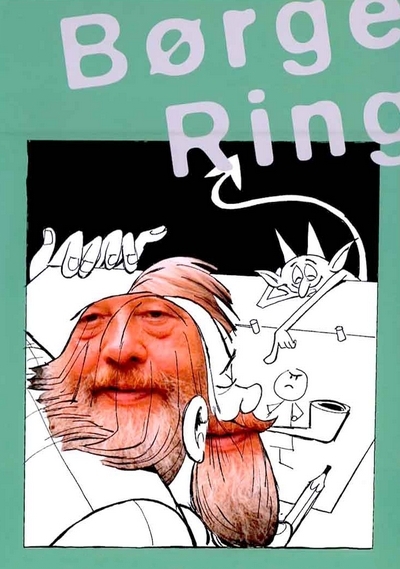 Borge Ring started working in animation in the late 1940s at Gutenberghus in Denmark. In 1952 he found a job as a cartoonist and animator with Toonder Studio's in Amsterdam, where he worked for 21 years. In the 1970s he also worked on comic strips for Dutch magazines like Sjors and Donald Duck. He travelled a lot and contributed to more than 20 animated feature films, dozens of commissioned films and independent animated shorts in Europe and Canada. He worked for studios such as Richard Williams Animation (London) and Studio Idefix (Paris). Great upload. Love animation. Thanks!